At the press conference Yoko Ono said she was making the Peace Tower in Iceland because the energy of the earth flows from north to south, and so the wish for peace will flow around the world. The Peace Tower is located on Videy Island a short ferry ride from Reykjavik, Iceland. One of the reasons Yoko wanted to make the Peace Tower in Iceland is that 80% of the power there comes from renewable geothermal heat, and she hopes the Peace Tower will call attention to this great source of energy. 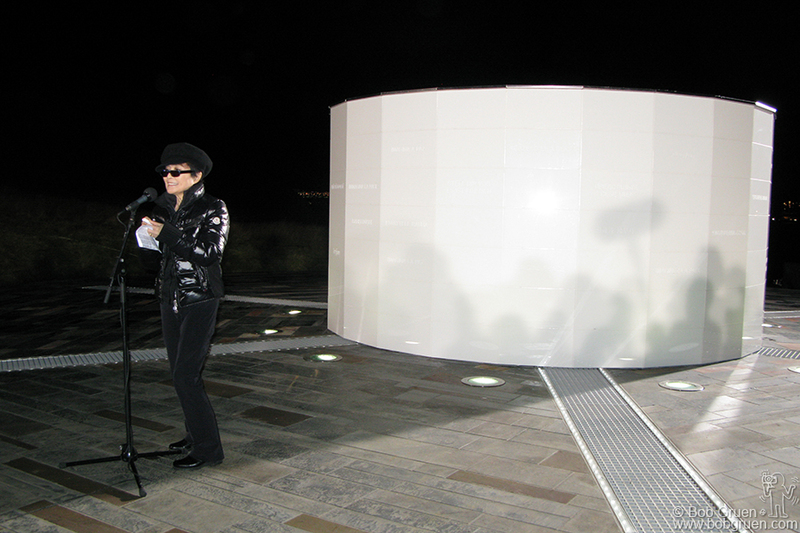 Yoko gave a short speech to thank the people of Iceland and to say “Happy Birthday” to John Lennon, who had asked her to build the ‘house of light’ described in one of her writings 40 years ago. 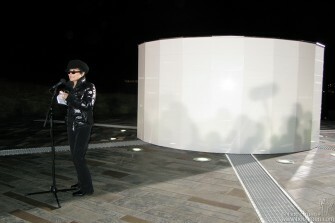 After her dedication Yoko took a walk around the Tower. 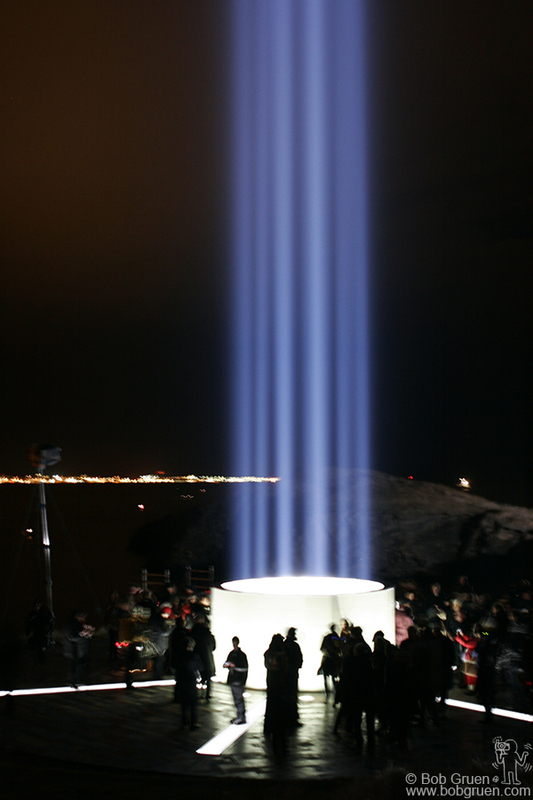 It has six light sources beaming through tunnels to the center where they are reflected upwards with 9 other lights, making for a very bright beacon for Peace. 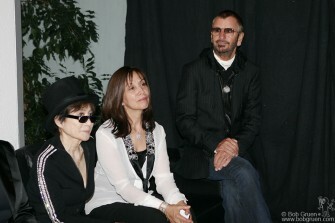 Yoko, Olivia and Ringo wait to say a few words at the after party at the Reykjavik Art Museum. The Peace Tower is very impressive and will be lit from Oct 9 – Dec 8th each year. 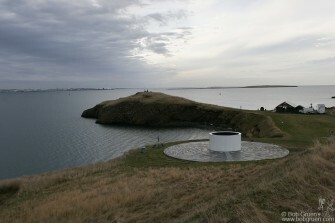 People can take a ferry to the island to visit. 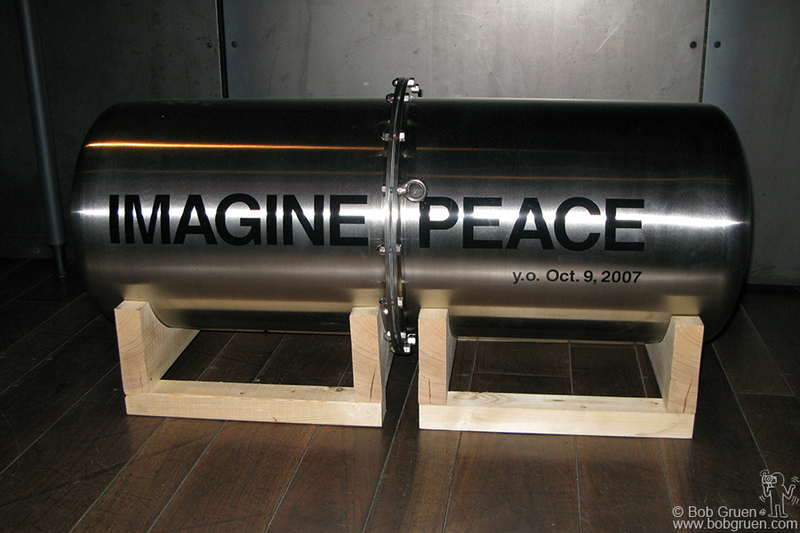 This is the time capsule that will be filled with written messages for peace gathered from Yoko’s art shows in the last few years. 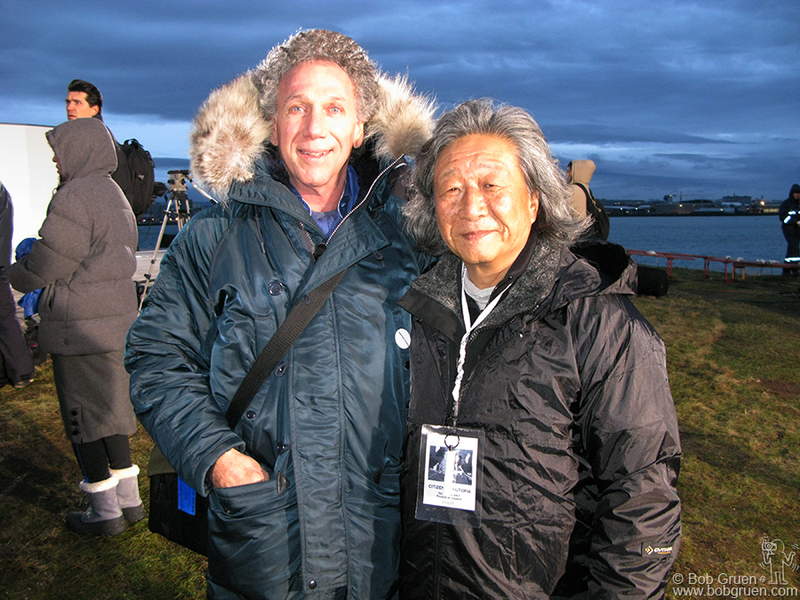 I posed for a photo with my friend Tetsu Hamada, who is the Technical Director of the Peace Tower project.